For over 20 years e-point has been delivering complex IT solutions that suit sophisticated business needs. We are experienced in international eCommerce projects and specialize in European markets. For this reason Amway has partnered with us to grow their online presence in Europe. For American companies, fragmentation and diversification of Europe (many different languages, currencies, taxes and cultures) can be daunting. Thus when entering Europe, it's good to have an experienced partner who combines business expertise and IT competencies. 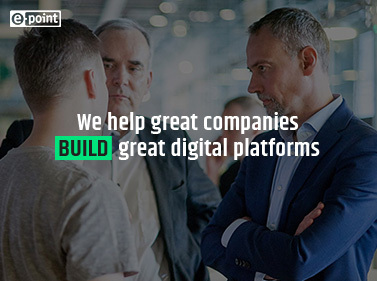 We believe that eCommerce platform is a great tool for your business expansion and building your presence in new markets before you enter them physically, with your sales reps and brick-and-mortar stores. Creating such platforms requires deep understanding of client's needs and market specifics. It entails establishing a partnership that lasts. We are proud of our long-lasting relationships with clients: we have been cooperating with ING Bank Slaski for 18 years, with Amway — for 12 and with Raiffeisen — for 7 years.